UPDATE (2/18/17): SCMPD Violent Crimes Unit detectives believe last night’s shooting was drug-related. The deceased victims have been identified as Tori Plummer, 35, and Erick Lawrence, 25. The third victim, Dennis Harris, 27, he was taken to the hospital with serious, but non-life-threatening injuries. SAVANNAH, GA (February 17, 2017) Savannah-Chatham Metropolitan Police are investigating a triple shooting that occurred in Yamacraw Village. Officers responded to a 911 call of a shooting in Yamacraw Village at approximately 10:28 p.m. on Friday, Feb. 17. Upon arrival officers located a three shooting victims inside an apartment. Two of the victims were deceased, a third was suffering serious injuries. The third victim was transported to the hospital by ambulance. The victims’ names are being withheld pending notification of families. The shooting does not appear to be random. The suspect(s) fled the area before officers arrived. The investigation is ongoing at this time. Anyone with information on this case can call 911. A confidential tip line also is open directly to investigators at (912) 525-3124. 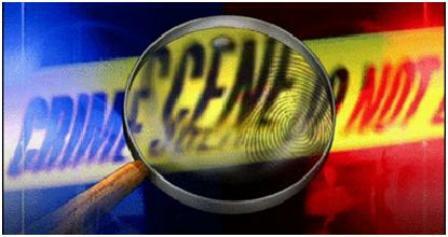 Anyone who wishes to provide information anonymously can also call CrimeStoppers at (912) 234-2020. CrimeStoppers tipsters remain may qualify for a cash reward.